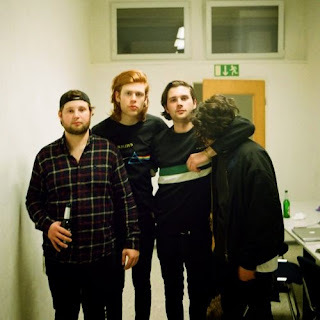 Reading-based anthem generators The Amazons are cranking up their rise to prominence, with a debut EP and UK headline tour both next month, and Radio 1 airplay recently thanks to the ever-on-it Huw Stephens. Listen to the melodic rock of 'Ultraviolet' below. It may be a tad clichéd to say but from its rollicking start, 'Ultraviolet' feels like one of those tracks that just overflows with energy - partly thanks to the mixing and producing work of Catherine Marks and the band's own Chris Alderton, with the former having worked on a similar sound with Wolf Alice. The forthcoming 'Don't You Wanna' EP also contains previous tracks 'Junk Food Forever' and 'Something In The Water', which you can check out in our Surfacing post. 'Don't You Wanna' is scheduled for release on October 9th. Find more info at facebook.com/theamazonsforever.